CAMARILLO, Calif.─ March 17, 2017 ─ Semtech Corporation (Nasdaq: SMTC), a leading supplier of analog and mixed-signal semiconductors, today announced that its LoRa® devices and wireless RF technology (LoRa Technology) was used by the winner and two finalists of the second-annual global Internet of Things (IoT) Challenge presented by the LoRa Alliance™ and Kenya Red Cross. Using LoRa-equipped development kits, contestants developed ready-to-deploy solutions to help improve the lives of people living in marginalized communities. Winner of the Competition: PIX CONTROLLER, a dynamic, high-technology company that designs and manufactures state-of-the-art, covert unattended surveillance camera systems, won for its OMEDS solution (Optical Methane Emissions Detection System), which uses sensors to detect/report methane gas build up to avoid serious health and safety disasters. PIX CONTROLLER will travel to Kenya to field-test OMEDS in collaboration with the Red Cross. Finalists: Agrint Sensing Solutions and KU Leuven created technical solutions using the LoRa-equipped starter kits. Agrint Sensing Solutions integrated its IoTree technology with LoRaWAN, creating in-tree sensors to detect when pests start attacking trees before irreparable damage occurs, starting with the Red Palm Weevil. KU Leuven proposed MediFridge, which uses LoRa Technology to monitor and ensure adequate fridge temperatures are maintained during the transportation of sensitive medications and blood supplies in developing countries. 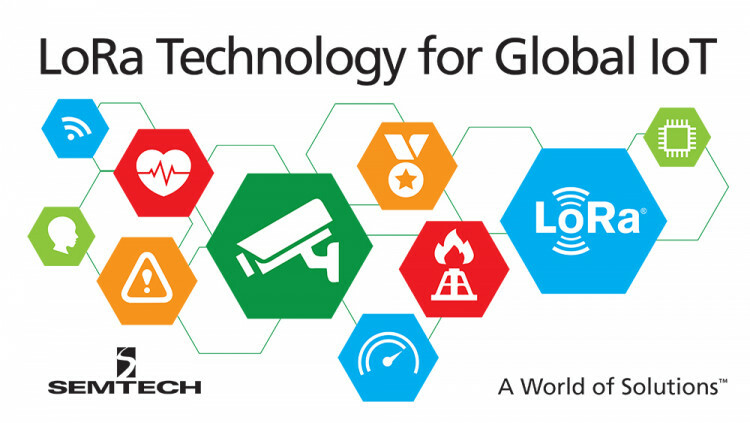 Semtech’s LoRa Technology and the LoRaWAN protocol enable long-range communication, while operating on low power to ensure extended battery life and connectivity in remote, hard-to-reach areas. The standardized LoRaWAN protocol ensures interoperability with other applications and networks, enabling scalable solution and infrastructure deployment. Semtech is a member of the LoRa Alliance, a group of more than 450 companies committed to driving and enhancing the LoRaWAN specification to ensure interoperability and scalability of LPWANs and IoT applications. Through its work with member companies and IoT industry groups, the LoRa Alliance is making LoRaWAN the standard for LPWANs focused on low-power, long-range IoT applications. To date, there are LoRaWAN public and private networks in more than 50 countries worldwide. All statements contained herein that are not statements of historical fact, including statements that use the words “will,” “potential to,” “designed to,” or other similar words or expressions, that describe Semtech Corporation’s or its management’s future plans, objectives or goals are “forward-looking statements” and are made pursuant to the Safe-Harbor provisions of the Private Securities Litigation Reform Act of 1995, as amended. Such forward-looking statements involve known and unknown risks, uncertainties and other factors that could cause the actual results of Semtech Corporation to be materially different from the historical results and/or from any future results or outcomes expressed or implied by such forward-looking statements. Such factors are further addressed in Semtech Corporation’s annual and quarterly reports, and in other documents or reports, filed with the Securities and Exchange Commission (www.sec.gov) including, without limitation, information under the captions “Management’s Discussion and Analysis of Financial Condition and Results of Operations” and “Risk Factors.” Semtech Corporation assumes no obligation to update any forward-looking statements in order to reflect events or circumstances that may arise after the date of this release, except as required by law. Semtech and the Semtech logo are registered trademarks or service marks, and LoRa and LoRaWAN are trademarks or service marks, of Semtech Corporation and/or its affiliates. Add LoRaWan, LoRa Alliance.